When in the spring of 1996 the first issue of the independent daily “Dnevnik” was published, the then government was aware that the time was coming of the media that it would not be able to control. “Dnevnik” and then the private TV “A1” soon became influential media, taking the power to create public opinion of the then media that were state-owned – newspapers “Nova Makedonija”, “Vecer”, “Flaka” and the Macedonian Radio television (MRTV). Strengthening the position of private-independent media put into bankruptcy the media that had been established and controlled by the state for several decades. Therefore, the state decided to sell newspapers that were state-owned, while MRTV was transformed from state to public service. 20 years after that moment in Macedonia there are over 100 private media, but most are in direct or indirect relationship to politics. The economic and political centers of power, because of their interest in creating public opinion, almost regained the image from before 1996, when the state funded and had complete control over the media. Media sector reform has become a major obstacle to finalization of the the Przino Agreement, Macedonia trying to end the year-long political crisis caused by the opposition publishing wiretapped phone conversations. “Without any fundamental reforms in the political system, little can be changed in the media”, said Snezana Trpevska from the Institute of Communication Studies. A few proposals were given at the negotiating table, where there were representatives of the four most relevant political parties, mediated by the Dutch diplomat Pieter Vanhoutte. The solutions offered by the government and opposition are almost entirely opposed. “In recent years we have witnessed a constant tendency of party colonization of all the spheres, that is the system is gradually moving towards an authoritarian regime. Freedom House categorizes us into so-called hybrid regimes, located between democracy and authoritarian regime. We see how this government has occupied all democratic institutions, including the media which are its principal means of manipulation, distortion of the truth, indoctrination and propaganda”, says Professor Trpevska. Main topics of the negotiations are regulatory bodies’ reforms in order to be made up of non-partisan and independent experts, regulating MRTV financing to ensure its independence, regulation of the manner of division of government advertising, portals and penalties for journalists. Waiting for the reforms, here is what the ownership structure in the media is. SCOOP investigation showed that most of the most influential media in Macedonia have non-transparent ownership structure. Compared to 2013, when SCOOP also explored the media, the picture is almost unchanged. 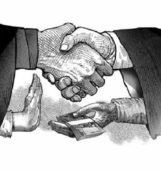 As owners or co-owners of the most leading media in the country appear companies from countries that are known as “tax havens” or “offshore” such as Belize, Virgin Islands, Saint Kitts and Nevis, Netherlands Antilles. These countries guarantee confidentiality of information, so it is difficult to determine who their real owner is. “First Republic JSC” is the company which publishes the weekly Republic and the owner of the portal with the same name is “Iresine Limited” from Belize. The seat of the company “Repro One limited”, which indirectly owns the daily newspaper “Nova Makedonija” leads to the British Virgin Islands, where it is registered. This company has been registered in the local institutions since October 25, 1999, while in Macedonia it is the founder of the company registered in Skopje under the name “New Print Ltd”, the owner of “Nik Nova Print Ltd” which is the publisher of the newspaper “Nova Makedonija”. The company with the same identification number as “Repro One Limited”, also registered on the British Virgin Islands, but with a similar name “Repro One Limited Inc. Tortola” appears as one of the owners of the weekly “Capital” through a company that is registered in Skopje as “Capital Media Group Ltd.”. According to the Central Securities Depository, the company “Repro One Limited” is a shareholder in several companies. 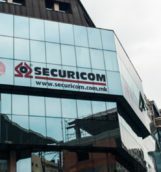 So this company has 97,23% stake in the Company for the design, manufacture and installation of steel structures and equipment and services Import-Export Fakom Inc., then it owns 76,49% stake in the Mines and Steel works “Institute” Joint Stock Company Skopje and 80.96% stake in Mines and Steel Works KPOR Inc. for personnel, legal and other specified business services, and owns 22.21% stake in the construction company “Beton” Skopje, winner of several tenders within the project “Skopje 2014”. 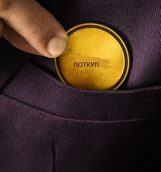 According to the Central Depository, until January 1, 2009 “Repro One Limited” was a shareholder in “Makstil” with 19,38 percent, a company associated with businessman Minco Jordanov, where he is a non-executive member of the Board of Directors. Since 2009, “Minyork overseas Inc.” has been a shareholder instead of “Makstil” while in the latest status it can be seen that two companies are shareholders: Duferco SKOP Investment Limited and Duferco SKOP LTD. According to Wikipedia, since 1992 Jordanov has been engaged in “Duferco” SA from Lugano. According to Forbes, he was named one of the richest people in the region. 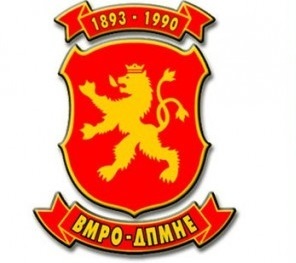 Along with Ljupco Zikov, one of the owners of “Capital” through the company “Kamburis i Barba” they are members of Alliance for Positive Macedonia, where Vlado Buckovski is also a member. The ownership structure of TV “Alfa” is related to the Netherlands Antilles. Owner of the television is the company “Alfa Skop LLC” from Skopje, which, according to documents from the Central Register, has the same address with the TV itself. This company, however, has four owners: Makosped AD Skopje, Tehnometal Vardar, Ad Europe and “CHS Invest Group”, which has majority equity in the company. 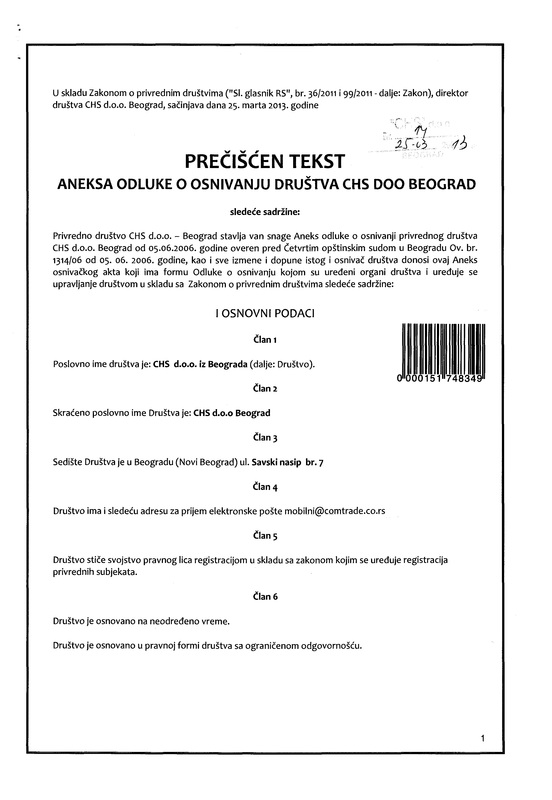 From March 25, 2013, the Official Gazette of the Republic of Serbia states that the company “Comtrade Holding NV, Curacao” from the Netherlands Antilles is a hundred percent owner of the company “CHS doo” from Belgrade, which is founder of the company with the same name in Macedonia. 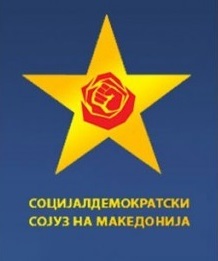 Serbian tycoon Veselin Jevrosimovikj appears as the owner of “Comtrade” and through the Macedonian company “CT Computers MK” he won the project “Computer for every child”. In late 2012, Macedonian media reported that Jevrosimovikj became owner of TV Alfa, where he bought a majority share. After this, the Broadcasting Council announced that it would examine the new ownership structure of the television, but later found no concentration. The explanation which was then given to SCOOP was that “Jevrosimovikj has submitted a statement certified in First Primary Court in Belgrade that he does not violate the provisions of Chapter III of the LBA and no illegal media concentration is created”. Otherwise, as manager of the company Alfa Skop LLC, which is one of the owners of TV Alfa, occurs Simonida Kazic, who is the manager of “CHS Invest Group LTD” whose owner “CHS DOO” in Belgrade is registered at the same address, Savski Nasip No. 7 in Belgrade, as well as “Internet Group doo” from Belgrade, owner of “Internet Group Investment Ltd” from Skopje, which appears as one of the owners of “Graphic Center”, publisher of the “Vest”, “Dnevnik” and “Utrinski Vesnik “. It cannot be found who stands behind the company Finzi LLC, registered in the United States and owner of the agency “Netpress”. Changes in the media: old-new owners? Во медиумите проструи веста дека долгогодишниот извршен директор на групацијата МПМ, чиј сопственик е „Графички центар“, кој ги издава најголемите весници „Вест“, „Дневник“ и „Утрински“, Срѓан Керим се пензионира од оваа функција. Но, иако се кандидира за генерален секретар на ООН, сепак тој не се откажал од сопственоста во весниците. Според документите од Централниот регистар, неговата фирма „Мирекс Плус Дооел“ се уште има ист удел во сопственичката структура на „Графички центар“, исто како и „Орка Холдинг“ и „Интернет Груп Инвестмент Дооел“. Со таа разлика што сега, споредено со 2013 година ја нема веќе фирмата „МОНТ ДОО“, која пред три години се јави како сопственик на „Орка Холдинг“ и обратно. Сега, во графата Сопственици кај „Орка Холдинг“ стои дека направените промени се регистрираат во Централниот депозитар за хартии од вредност. 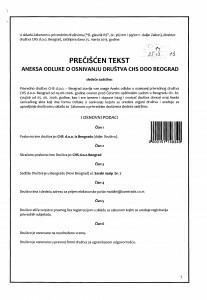 А таму, не ги објавуваат сите акционери во акционерските друштва доколку нивните акции не котираат на берза. Единствено стои дека овластено лице е Јордан Камчев. “Орка холдинг” се јавува како основач и акционер на неколку компании и фондации, меѓу кои: “Бетон Штип”, “Даун Таун”, “Пенинсула”, “Пелагонија-Полог”, “Ацибаден Систна Медикал Компани”, “Архи ДОО”, “Бет Ком Трејдинг”, “Фондација Илија Камцев”, “Ибис Хотел Скопје”, “О.К. Хотел Скопје” и други. Во некои од овие фирми се појавува фирмата “Ексико ДООЕЛ”, регистрирана во Македонија. Нејзин основач е Т & МЈ ИНВЕСТМЕНТ СА, со седиште во Лугано, Швајцарија. Од документите кои ги добивме од бизнис-регистрите на Швајцарија(да се приложи документ), како сопственик фигурираат сто акционери кои поседуваат по еден процент. На документот се гледа честото менување на членовите со право на потпис, од кои тројца биле и претседатели на компанијата. Кај ТВ „Алсат“ ја нема веќе американската „Интернатионал Енерги Енгинеринг & Петролеум Консталтинг“, туку останува само Веве груп. Промени има и во сопственичката структура на агенцијата “Макфакс“, која пред три години беше во сопственост на Сеавус груп со седиште во Холандија. Сега, наместо тоа, сопственици на Макфакс се Нова Медиа Гроуп Дооел, чиј, пак, сопственик е Игор Лештар, извршен директор во Сивус групацијата. In the media it has been said that the longtime CEO of MPM Group, owned by “Graphic Center”, which publishes the largest newspapers “Vest”, “Dnevnik” and “Utrinski”, Srgjan Kerim has retired. But although running for UN secretary-general, yet he has not given up ownership of the newspapers. According to documents from the Central Register, his company “Mirex Plus LLC” still has the same stake in the ownership structure of “Graphic Center” as well as “Orka Holding” and “Internet Investment Group LLC.” Except that now, compared with 2013, there is no longer the company “Mont Ltd”, which until three years ago appeared as owner of “Orka Holding” and vice versa. Now, in the column Owners for “Orka Holding” it is written that changes are registered in the Central Securities Depository. And there they do not publish all shareholders in the companies if their shares are not listed. It only states that an authorized person is Jordan Kamcev. “Orka Holding” is the founder and shareholder of several companies and foundations, including “Beton Stip”, “Down Town”, “Peninsula” “Pelagonija-Polog”, “Acibaden Sistina Medical Company”, “Archi LLC” “Bet Com Trading”, “Foundation Ilija Kamcev” “Ibis Hotel Skopje”, “OK Hotel Skopje” and others. In some of these companies appears the company “Eksiko Ltd” registered in Macedonia. Its founder is T & MJ INVESTMENT SA, based in Lugano, Switzerland. From the documents we received from the business records of Switzerland (да се приложи документ) a hundred shareholders who own one percent figure as the owner. The document shows the frequent change of members with the right to signature, three of whom have been presidents of the company. TV “Alsat” no longer has the US “International Energy Engineering & Petroleum Consulting” but remains only Veve Group. 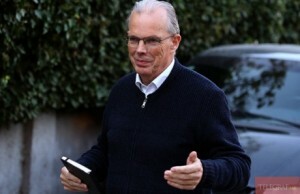 There are also changes in the ownership structure of the agency “Makfax” which three years ago was owned by Seavus Group based in the Netherlands. Now, instead, the owners of Makfax are New Media Group LLC, whose owner is Igor Leshtar, Chief Executive Officer at the Seavus Group. New televisions – who is behind them? Во ситуација кога ВМРО-ДПМНЕ и СДСМ цврсто опстојуваат во нивните предлози, новинарите најдоа сојузник кај посредникот Питер Ванхауте. Неговиот предлог е прифатлив и за експертите од областа на медиумите. „ Во услови во кои се наоѓа медиумскиот систем, каде поголем дел од медиумите се дел од гебелсовата пропаганда на власта, кога новинарството во голем дел од медиумите е заменето со пропаганда, предлозите на посредникот Ванхоуте се издржани и даваат надеж за темелни реформи на медиумскиот систем во Македонија“, вели Сефер Тахири, универзитетски професор по комуникациски науки. Тој смета дека е сосема на место предлогот на Ванхоуте за членовите на Агенцијата за медиуми да се избираат со јавен конкурс, со двотретинско мнозинство во Собранието. „Ова ја спречува можната мајоризација на опозицијата, но и го зајакнува гласот на јавното мислење во ова тело. 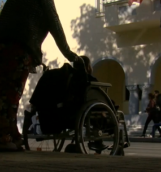 И дополнителниот услов кој ги обврзува кандидатите да земаат одобрение од Здружението на новинари и други медиумски организации, е рационален“. Значителен придонес во хаосот кој е создаден во медиумскиот простор, и универзитетската професорка Трпевска го гледа кај Агенцијата за медиуми и за аудио и аудиовизуелни медиумски услуги (АВМУ). „Ова Агенција со закон е задолжена да ја следи сопственичата структура во аудиовизуелната област. За жал, ова досега само формално се врши, т.е. Агенцијата одобрува промени на сопственичката структура и тогаш кога има индикации дека зад лицето кое фигурира се крие некој политички субјект или друг моќник“, вели таа. Поради ова, Трпевска е убедена дека реформата не е можна доколку претходно не се направи промена во самиот регулатор во смисла на негова департизација. „И повеќе од јасно е дека овој состав на регулаторното тело е партизиран и затоа и регулаторната политика и одлуките се такви какви сто се“. Тахири го поддржува и предлогот на Ванхоуте МРТВ да се трансформира во јавен радиодифузен сервис, од причина што во моментот е „сервис на владините партии“. 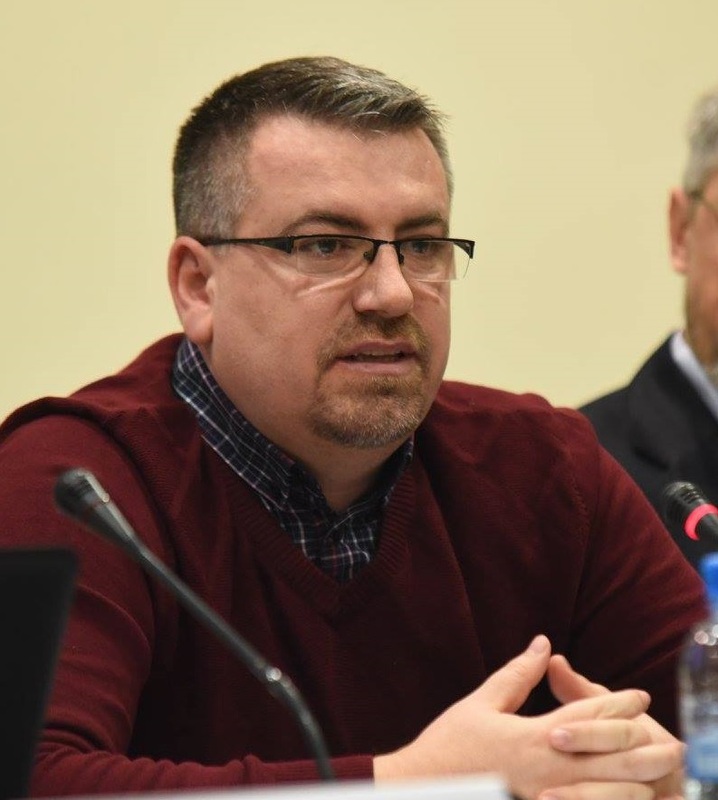 “Регулација е потребна и во делот на владините реклами, со тоа што истите треба во целост да престанат од причина што претставуваат еден вид на корупција“, смета Тахири. Конечната реформа на медиумскиот простор, според Трпевска, е многу комплексна операција заради тоа што е поврзано со сите теми сто се дебатираа во контекст на политичите преговори. „Прво, без темелни промени во политицкиот систем, малку нешто може да се промени во сферата на медиумите. Второ, откако ке се промени власта, треба да се зајакне независноста на медиумските институции – овде мислам на регулаторното тело и на јавниот сервис. Трето, на новинарската професија и е потребна автономија и нова професионална култура. Четврто, да продолжи развивањето на саморегулацијата – Советот за етика, кој одлично се етаблира и успешно ги прави своите чекори како бранител на јавноста и на граѓаните“. All media to register as commercial companies including portals.